DUBAI Ports World (DPW) has submitted the highest bid for the 35-year concession to run Thessaloniki Port Authority's (OLTH) Pier 6. "Dubai has bid more than the others by a long shot," the source claimed. DUBAI Ports World (DPW) has submitted the highest bid for the 35-year concession to run Thessaloniki Port Authority's (OLTH) Pier 6. "Dubai has bid more than the others by a long shot," the source claimed. DPW has bid for OLTH via Peninsular & Oriental Steam Navigation Company (P&O), which DPW controls. Also in the bid consortium are Greek construction player Aktor and Piraeus Bank. The sell-side source claimed Dubai has beat out Cosco for OLTH. Cosco bid with Hutchinson in a consortium with local chemicals and pharmaceutical player Alapis. Bids for OLTH were received on May 15 by the evaluation committee. Another executive confirmed the information from the source saying, "Yes, it's true, Dubai has bid the most and is expected to be announced as the winner." A spokesperson for OLTH could not comment on bidders, however. The top bidder for OLTH will be announced in around 15 days, near the end of this month, the source noted. The government and local experts believe that giving over the port operations to a foreign giant can create conditions for Thessaloniki to develop into a solid, regional in-transit port and will have a positive impact on commerce, the local economy and the community. OLTH has a market capitalisation of some 340 million euros. The top bidder has already been announced for OLTH's big sister port, Piraeus Port (OLP), amid an embarrassing fiasco over the figures. Cosco, which has offered the highest sum, is not, after all, paying seven times the market value at some 4 billion euros, but around 500 million euros. OLP further confirmed it on June 12 as the "provisional preferred bidder". Further documents will need to be assessed before any final agreement can be made, it noted. But its statement did nothing to clarify the muddy waters regarding the real figures. Greek Shipping Minister George Voulgarakis told the Athens News on June 6 that the bid price being paid at present is not 3.389bn euros as had been announced earlier that week. This sum represents only the full price over 35 years, including investments, he said. Asked if the lack of earlier clarity could lead to the deal falling through, he said that this is not an issue. He promised to provide more details of how Cosco's bid is structured, including the present value being paid and how the fees and investments will be structured over 35 years. In an attempt to clarify matters, as well as stop its own stock from dropping, Cosco confirmed in a statement on June 11 that the amount it will actually pay is some 500m euros. The huge difference in figures is related to the Greek inclusion of concession fees, as well as annual rental fees payable annually over the whole 35-year concession period, Cosco added. The value of the deal in 35 years is also understood to have been calculated in, namely allowing for inflation. But Cosco remained upbeat about the deal. "An investment in the Piraeus Port and the Thessaloniki Port offers the company an excellent opportunity to invest in major terminals outside China, which in turn aligns with its corporate strategy of becoming a leading global port operator," Cosco vice-chairman Xu Minjie added in the statement. The market was nonetheless not convinced, and as Cosco's share price languished analysts said that investors still believe it may be overpaying and are not convinced by the attempt to clarify matters. A legal source close to the government told the Athens News that a previous statement announcing the bid as seven times the market capitalisation at 3.389bn euros was a "big gaff" and had caused some diplomatic problems. 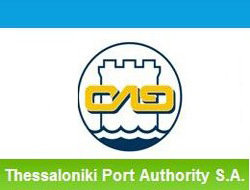 In a press release at the end of last week that attempted to clarify the confusion, OLP announced the following regarding the financial offers submitted for the concession of the container terminal's piers II and III: "The total bids, in current market value, offered for 35 years amount to: 4.305bn euros for Cosco Pacific Ltd of which 3.389bn euros is guaranteed and 4.063bn euros for the union of companies of HPH Ltd, HPI Sarl, Alapis and LYD SA, of which 3.037bn euros is guaranteed. "The net present value of the above-mentioned minimum guaranteed amounts is 665m euros and 583m euros, respectively." Cosco is China's biggest shipping player and has interests in 20 container terminals in China, Hong Kong and overseas, including the Cosco-PSA Terminal in Singapore, Antwerp Gateway Terminal in Belgium and the Suez Canal Container Terminal in Egypt. The OLTH and OLP deals continue to see opposition from individual workers and their unions. Piraeus Mayor Panayiotis Fassoulas had planed to close the port of Piraeus over the government's failure to help with the municipality's financial crisis. It is understood he was also opposed to the Cosco deal. However, on June 12 the mayor announced that he had brokered a deal with Finance Minister George Alogoskoufis over the issue of the municipality's funding problems. A loan of 122 million euors is to be frozen for one year as part of the agreement, Fassoulas said.